Running is a superb form of exercise and is relatively hassle free, considering you just need a pair of running shoes. It also provides a great opportunity to meet people and experience a variety of places around the globe from an alternative perspective. The CN&CO team has a number of unique and diverse running experiences and each has his or her own story to tell. Our running adventures so far include a handful of Comrades marathons, the Paris Marathon, Lesotho Sky Trail Runs, Table Mountain adventures/races, Mad2Run journeys, Skukuza half-marathons, running on Bintan Island, and even running a marathon through vineyards in France… to name but a few. Through our running we have also had the opportunity to use our feet to raise funds for charity initiatives and have a TON of fun. 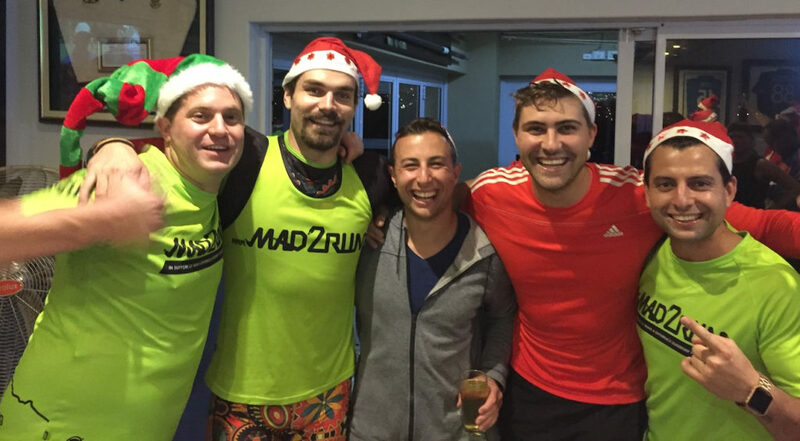 One of our favourite events on the calendar is the EasyEquities Born2Run Charity Christmas Run, which had its first showing in 2016. It is a fun 6 km run (or walk) and everyone is invited! Book your tickets to make sure you reserve your spot. 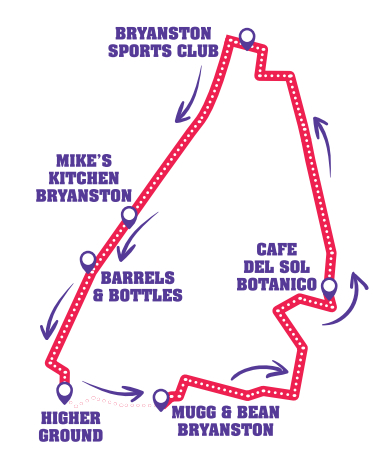 The route begins at the Higher Ground restaurant and takes runners and walkers to various stops in the Bryanston area. It’s great evening out with mates, new and old. This is a special run as it combines the social and lifestyle elements of the sport and allows us to support the work done by several charities. 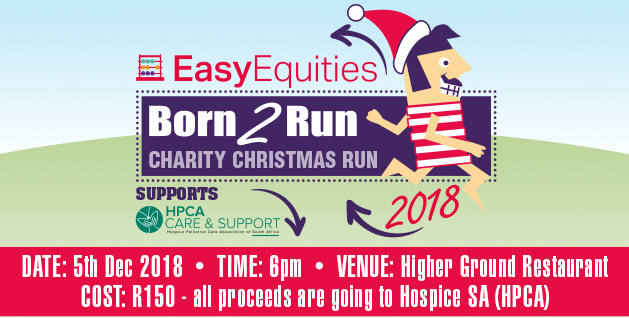 This year the funds raised by EasyEquities Born2Run Charity Christmas Run will support the amazing work done by the Hospice Palliative Care Association of South Africa (HPCA). This charity was founded in 1987 and is a membership organisation for South African Hospices. HPCA champions and supports the work of more than 108 member Hospices and affiliate sites that provide care and support to around 140 000 people across South Africa. If you haven’t purchased your ticket you can still buy one here, or tomorrow at Higher Ground from 5pm. The event starts at 6pm so ensure you are there in advance to register. We look forward to seeing you for a great evening and supporting the HPCA through the funds that are raised. Follow the action on the CN&CO and EasyEquities Twitter pages tomorrow evening. The upcoming Daredevil Run marks 10 years since the event started – and boy, how it’s grown!